Orlando's #1 Auto Repair for 25+ Years! For 25 years, our dedicated mechanics have provided outstanding services and friendly customer care. From oil changes and tire rotations to transmission and power steering repairs, you can always count on our auto service expertise. We take the time to get the job done right each and every time. QUESTIONS? QUOTE? CALL US TODAY TO SPEAK WITH A MECHANIC! $5 Off Oil Change! $5 Off Oil Change! Lube, oil and filter with multi-point inspection. Not valid with any other offer or special. Coupon must be presented in advance. 10% Off AC Repair! 10% Off AC Repair! Not valid with any other offer. Coupon must be presented in advance. 10% Off Brake Repair! 10% Off Brake Repair! $10 off any auto service or repair totaling $100 or more. Limits & restrictions apply. One coupon per visit. Coupon cannot be combined with any other offer, discount or coupon. Coupon honored only at time of purchase and is not valid on previously purchased service or repairs. 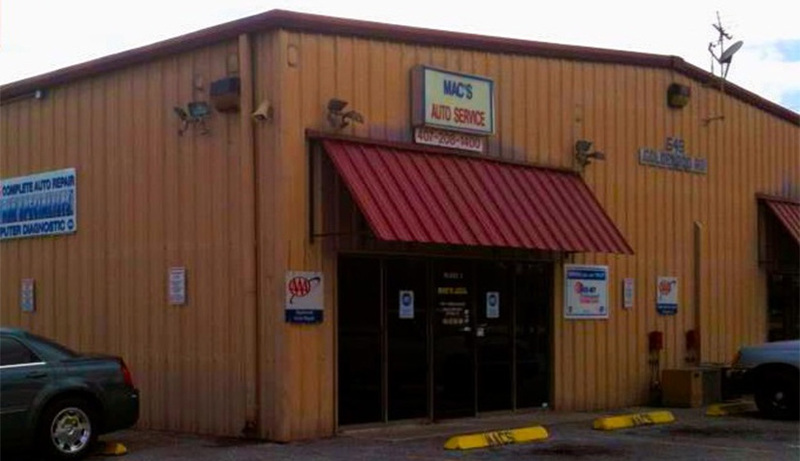 WIDE VARIETY OF REPAIR SERVICES FOR YOUR VEHICLE...CALL MAC’S FOR ANY JOB, BIG OR SMALL! 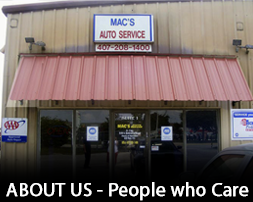 When come to Mac’s in Orlando, FL, we’ll take the time to walk you through what needs to be fixed on your vehicle. We don’t charge you outrageous prices for repairs you didn’t expect or approve. We’ll even tow your car to our shop if you can’t drive it here. We’re an AAA authorized service company. We offer 10% off jobs over $500, and we give the same discount to customers who come in by referral.